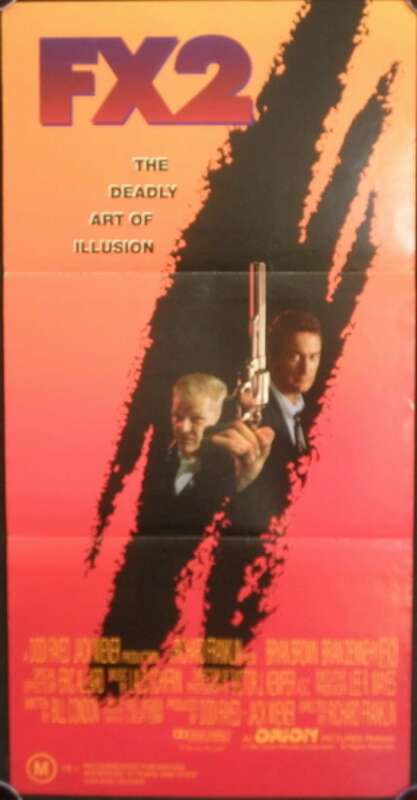 FX 2 Daybill Movie Poster / F/X2 (also known as F/X2: The Deadly Art of Illusion) is a 1991 American action thriller film directed by Richard Franklin and starring Bryan Brown and Brian Dennehy. It is a sequel to the 1986 film F/X. This was Franklin's final American film before he returned to his native Australia.